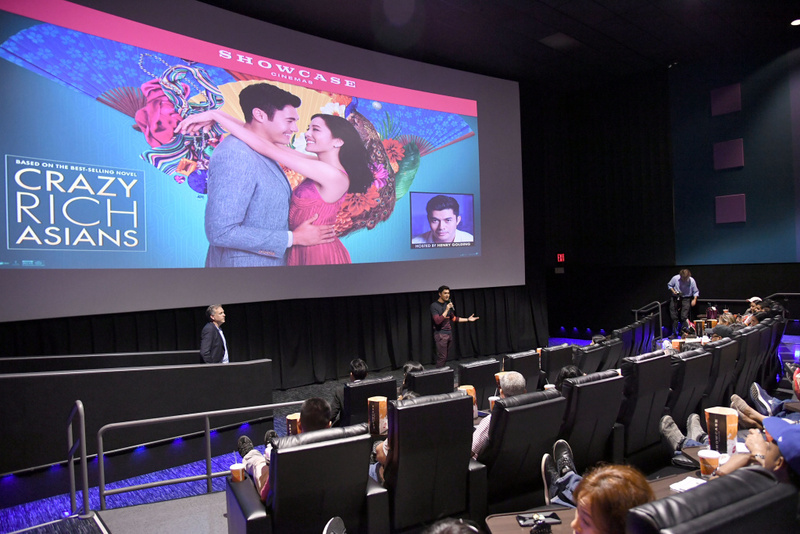 Actor Henry Golding speaks before an audience during the 'Crazy Rich Asians' screening at College Point Multiplex Cinemas on August 13, 2018 in Whitestone, New York. ‘Crazy Rich Asians’ directed by Jon M. Chu sparks an emotional movement for many Asian Americans. Yes, it’s a rom-com, but the movie starring an all-Asian cast that finally reached wide release in theaters is a landmark milestone for Asian-American history. Creators of the movie turned down an offer from Netflix so that ‘Crazy Rich Asians’ could have its big box-office moment. Chu was willing to decline a big Netflix payout as a chance for the movie to be a conventional multiplex hit on the big screen. Official box-office projections are around $26 million for the whole five-day frame. The movie had a $30 million budget. If box-office numbers hit the projected numbers then this movement may set a precedent that an Asian-American rom-com can be successful as well.